The moments of our lives are delicate by their very nature. All moments are delicate in that they are fleeting; quickly dissolving as a new Now emerges. But many moments are also delicate in the sense that they contain fine and subtle beauty if we choose to see, feel, or hear it. Even the most precious moments pass. 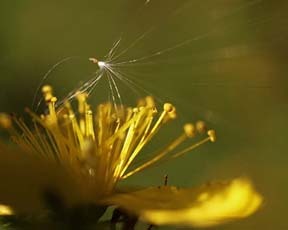 Thankfully some of these delicate moments leave traces behind, a feeling, a memory, a knowing that enriches who we are. Though these moments are delicate, they are the substance of our lives. To me part of enjoying and cherishing life is to notice the delicate moments that occur every day. Choosing to see the beauty, choosing to feel appreciation, choosing to feel connected, and choosing to feel gratitude-even if only for a delicate moment. There are details and subtleties in your life right now that are worthy of your attention. Some of these are deeply personal. The delicate moments we value are our own. Allow yourself, invite yourself, to notice. I nurture these moments when feel as I do things; rather than just doing automatically. For instance I notice the delicate moments when I feel love as I kiss my wife on the forehead or when I feel joy at my dog’s happiness when I play with her. I also savor the moments I feel the satisfaction of completing a task and notice progress toward my goals. One of my passions is capturing moments in nature by photographing moments of glorious beauty. The picture with this post was one such moment, delicate and fleeting, the seed parachute stuck on the flower blew away a few seconds are I clicked the shutter. Being able to do things and move forward automatically is useful sometimes, but there is a lot we don’t notice in that mode. Mindfully noticing and feeling delicate moments has rewards. Your moments are your own, cherish and appreciate them. Allow the attitude of choosing to see, slowing down the momentum, and quieting inner voices, so you can feel and perceive the delicate moments. Delicate moments are wonderful fleeting instances that occur every day of our lives, but they only exist if we notice them. Notice them and you will feel better for sure. This entry was posted in Enrichments, Mind, Musings and tagged enrichment, inspiration, Musings, personal growth, self-discovery, self-improvement. Bookmark the permalink. 3 Responses to Delicate Moments, Notice Them! This is a great reminder to savor our great moments. Once we get the hang of it, we will find these moments more and more often. Wow! That was just an amazing blog. Sitting here in a somewhat nervous state,I just started to think about the little things; much more calming than thinking about all the big things going on! This website is just great! Keep it up it’s very inspiring!